Lice. Ugh! If you have school-aged kids you may have received a call from school alerting you that one of your kid’s classmates has lice. Lice are easily transmitted, especially among younger children. 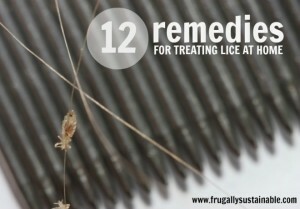 Click on the 12 Remedies for Treating Lice at Home link below to read the complete article.